As an award-winning choreographer he has throughout his career been active internationally, touring with group as well as solo works. He has created works for companies around the world as well as choreographing for TV shows such as "So you think you can dance" and "Dancing with the Stars". 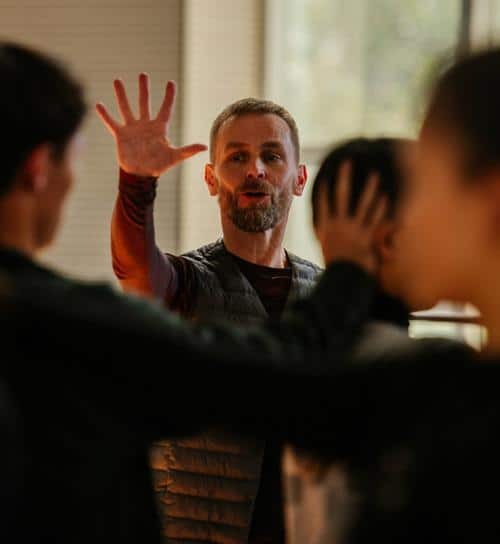 Alongside teaching companies, universities as well as professional dancers, he has invested time in perfecting his teaching and coaching work resulting in eye opening and refined contemporary classes and ballet classes. From 2010 to 2018 he has been working out of Beirut and he is co-directing Beirut Contemporary Ballet. Jens is from 2019 based in Paris. The Contemporary class of Jens Bjerregaard is based freely on Cunningham, yoga and release technique. The technical work emphasizes flow and solid body awareness - always conscious of creating and understanding connections within the body and beyond. The dancers are challenged to explore their possibilities and go further then their perceived limits. The physical body and the memory are explored equally thus creating a practical awareness and functional development of the movement.